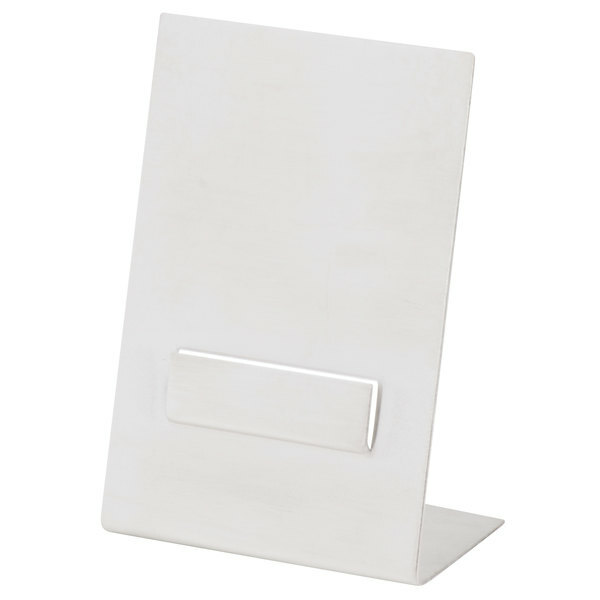 Prevent bending your food labels or table numbers with this American Metalcraft DXP1 2 1/2" stainless steel menu / card holder stand. 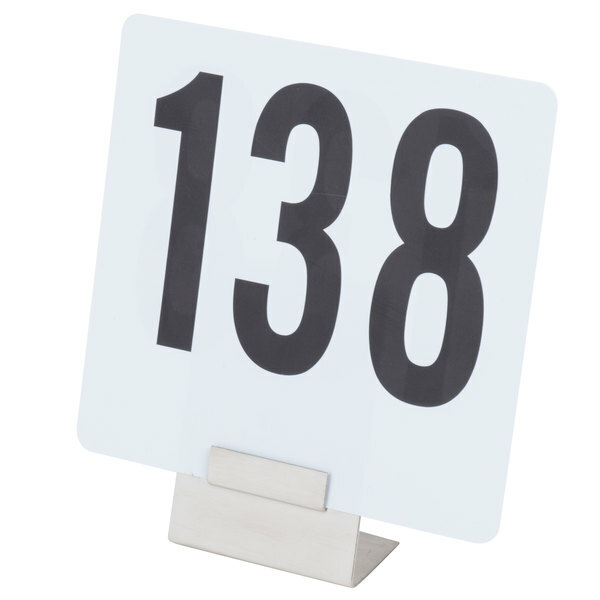 Featuring a single support clip that slightly extends from the holder, it cradles your signage. This clip holds your menu in place, preventing it from slipping out. 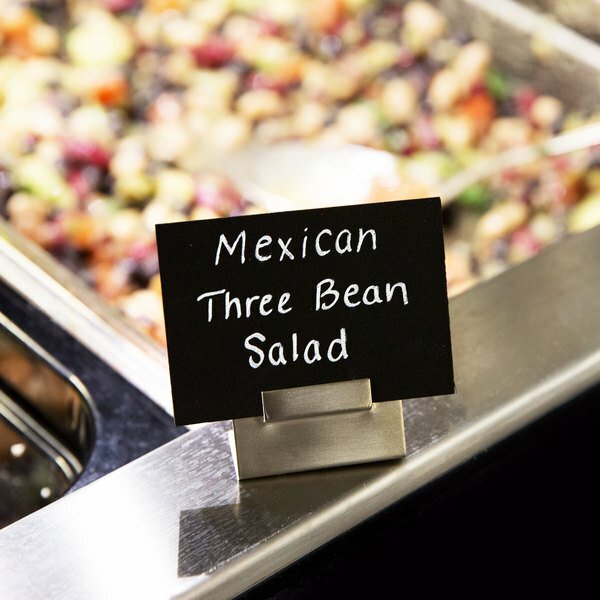 Meanwhile, the slanted back support keeps your signage erect and prevents breaking or bending as guests' reach for different foods on your buffet line. 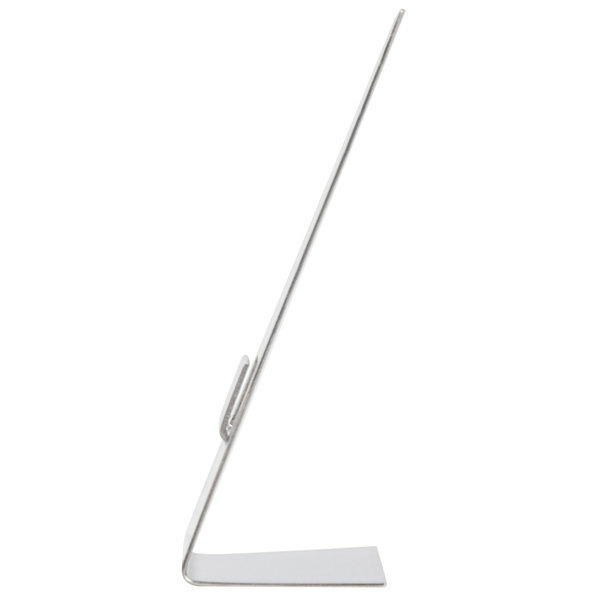 Made of durable stainless steel with a brushed satin finish, this stand will remain polished for years to come. 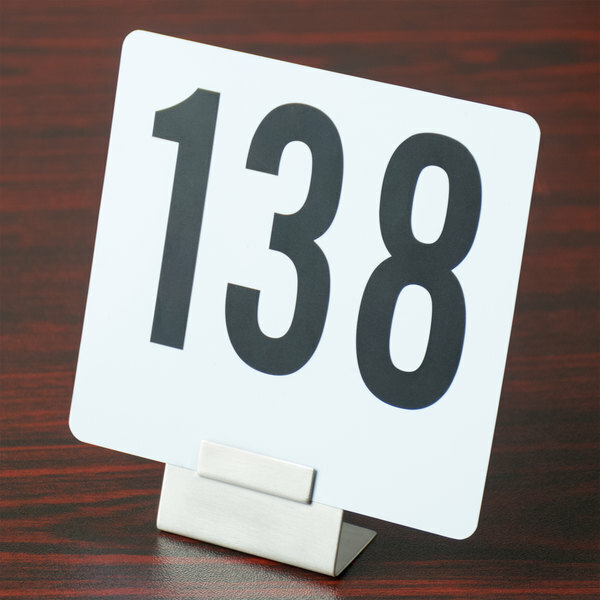 Add this stand to your cafe, hotel, restaurant, or catering business for a crisp, timeless presentation. I expected them to be larger, don't know why since it clearly states 2 1/2". Not what i wanted but they work just as they're supposed to. Hold up display/name cards on our buffet line. Sturdy enough to hold A5 cardstock/laminated paper without tipping. 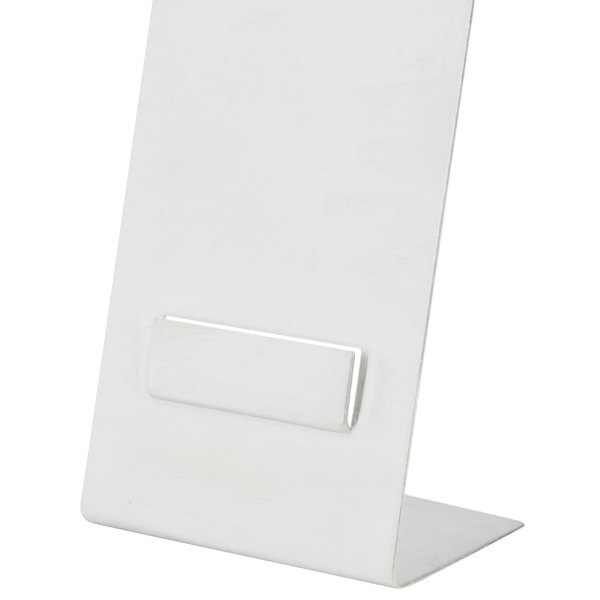 We use the stainless steel menu/ card holder stands for our buffets. The stainless steel adds a contemporary feel to the design. They are also a great value! 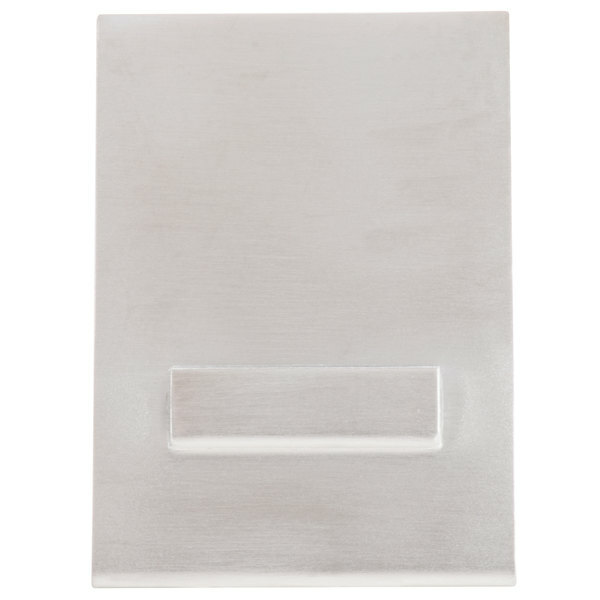 We use these stainless steel card holders when catering - they work nicely with our casual chafers, but also look great with our white porcelain serving pieces. We like the contemporary feel, and they are nicely priced.